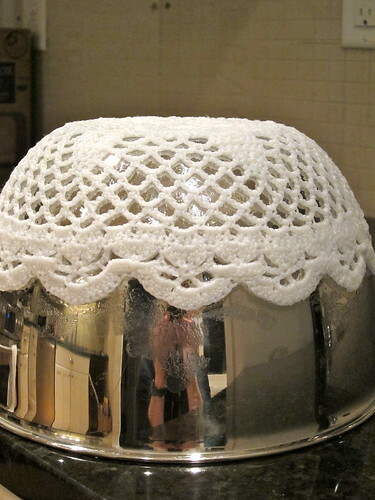 I love doilies - and as soon as I saw the crocheted bowl from Crochet Adorned I knew I had to make it! After soaking in the hot starch solution (2c sugar: 1c water) it's now draped over a bowl and drying for the next 4-5 days . . . come back next week for the finished product! I love this. 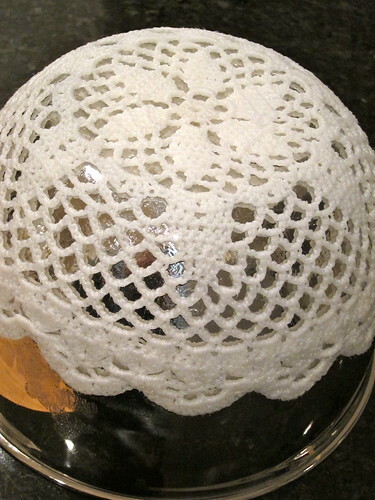 I inherited many doilies from my great aunts and grandmother. 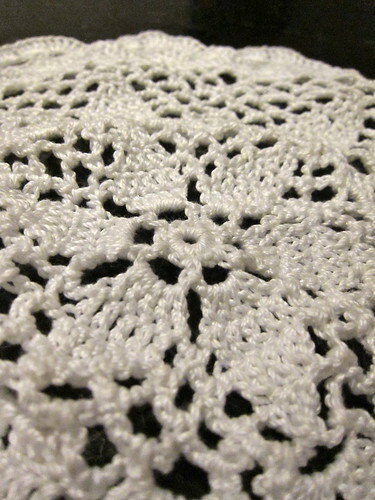 I actually want to learn to crochet snowflakes and starch them and use them as Christmas tree ornaments. My mom has a set she mad with her grandmother and they look so lovely on a Christmas tree. She also has a starched crocheted angel.